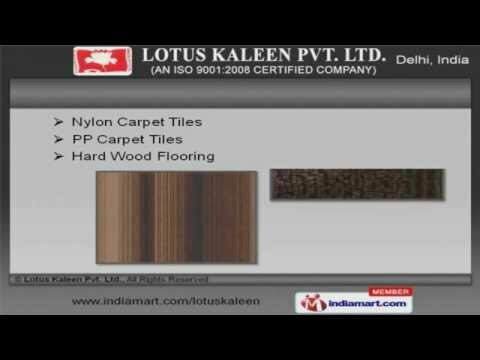 Welcome to Lotus Kaleen Private Limited, Trader and Supplier of Carpet Tiles and Hardwood Flooring. An ISO 9001:2008 certified company, incorporated in the year 1993. We export our products from Europe, China and Middle Eastern regions. International quality standards, immense domain experience and streamlined business practices make us the first choice of our clients. We offer a huge gamut of Wall to Wall Carpets, Synthetic Fiber and Polypropylene Carpets. Our Wall to Wall Woven, Grass Carpets and Carpet Tiles are a class apart. We also provide Nylon, PP Carpet Tiles and Hard Wood Flooring that are available at market leading prices. Our clients can avail from us an exquisite range of Engineered, Laminated and Teak Wood Flooring that are cost effective. We have gained tremendous expertise in providing Composite Decking, Pure Wooden Deck and Flooring Accessories. We manufacture, export and supply a wide spectrum of superior quality Hardwood Flooring and Decking Woods.